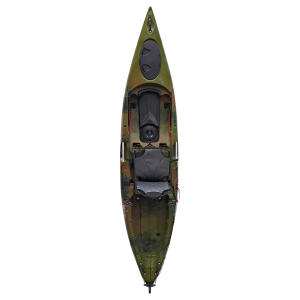 Set out and explore in our Deluxe One Man Kayak which features an extra-large cockpit enabling the paddler to get out quickly should they capsize. As a result, this safety feature makes it a great entry level product. The Deluxe One Man Kayak comes complete with adjustable footrests, a moulded drinks holder and a large rear bungee storage area. This area is therefore ideal for securing dry bags or storing a trolley. 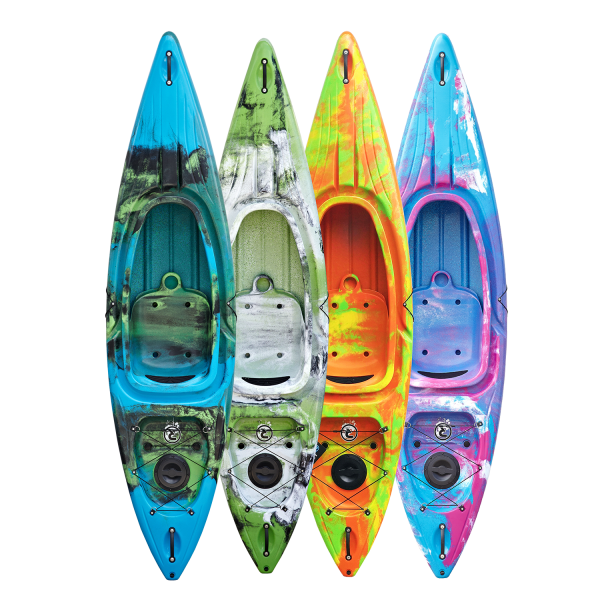 The Deluxe One Man Kayak also has a twist style bucket hatch which is suitable for keeping valuables dry. 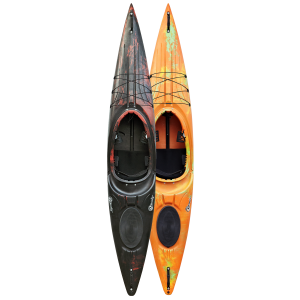 In addition, this kayak has side paddle holders and carry handles at either end for increased ease of use. In the rear storage area there are two drainage holes which means it is suitable for use with the Sit on Top Kayak Trolley. This can be found here. 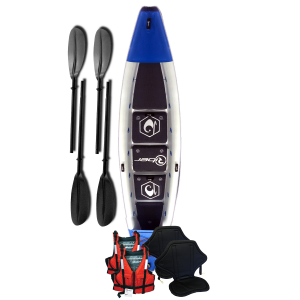 The trolley allows you to transport the kayak without the need to use a strap to secure the boat. 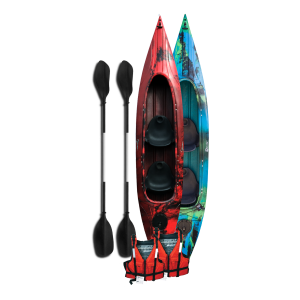 The Deluxe One Man Kayak comes equipped with an integrated keel. 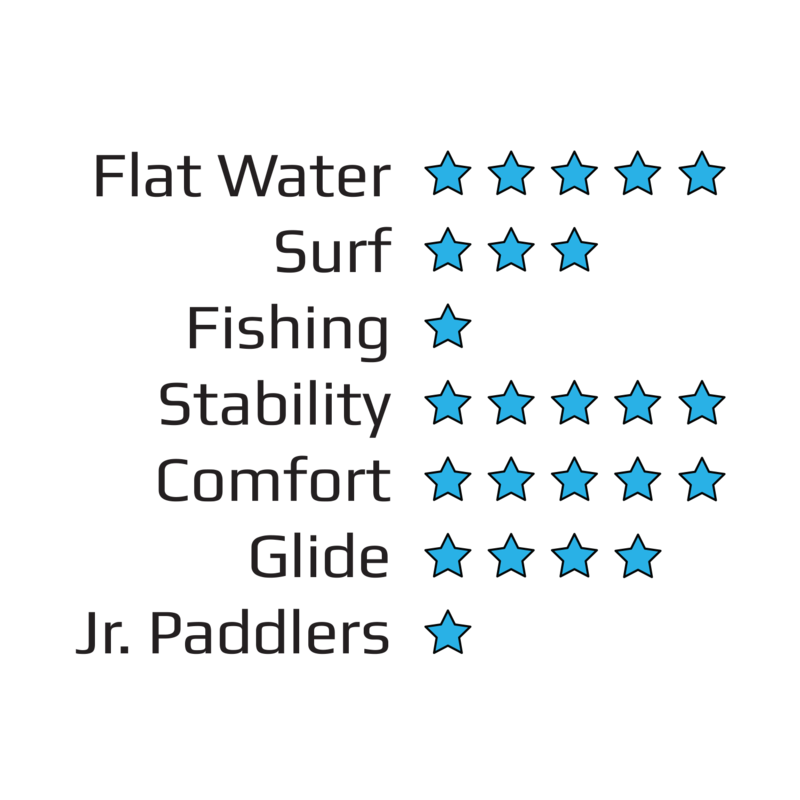 This offers exceptional tracking and stability making it perform well in the surf. 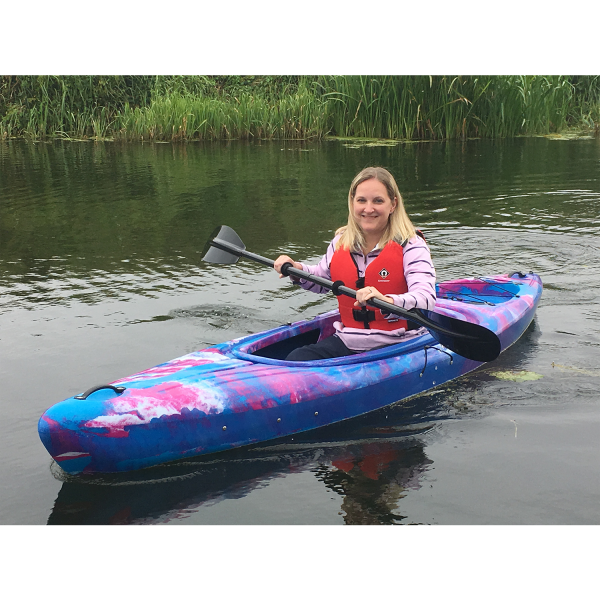 The wider hull and fairly flat bottom make the kayak ideal for use in the sea as well as on lakes, rivers and canals.